Long Flannel Shirt by Waiquiri. Take your style to great lengths in this exaggerated long flannel shirt. Featuring a blue and white plaid print with an extra long shirt length. Designed with long sleeves, front button closure, and single chest pocket. Long flannel shirt made with soft material with slight wrinkling. Lightweight shirt ideal for layering over your favorite graphic tee. 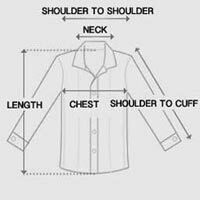 Exaggerated shirt length gives a modern construction to the traditional flannel. Throw on the long flannel shirt for the most striking casual top.